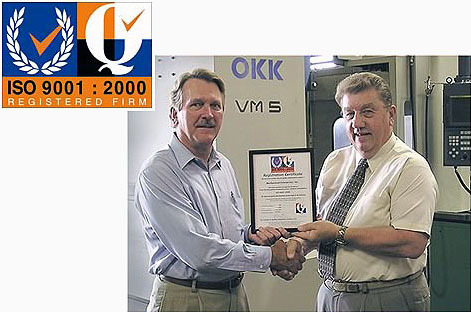 Mechanized Enterprises became a Registered ISO 9001:2000 supplier on May 14, 2004. Currently pending AS 9100 Certification. George Hansel, President of Mechanized Enterprises, Inc. was presented the ISO certification by Paul Wenger from IMSM - International Management Systems Marketing.